Geography can offer a significant contribution to the history of a region. 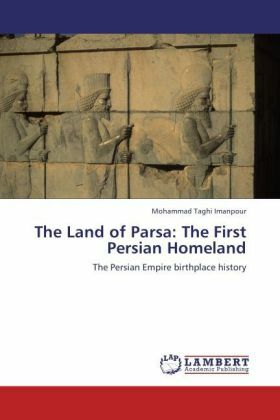 In this context the geographical situation and strategic position of Parsa, modern Fars in south-west Iran from where two Great ancient Persian Empires, Achaemenids and Sassanids raised seems to have had the principal role in the historical development of Ancient Persia. The land which came to be named Parsa had been inhabited long before the arrival of the Persians. It was an important Elamite centre called Anshan in the Iranian highlands at least from the third millennium BC. Following the immigration of the Persians into Iran, it became the homeland and the birthplace one of the greatest empire, Achaemenid that the world had seen until that time. In this work, based on the archaeological evidence, classical sources, the cuneiform and other ancient texts and linguistic affinities together with historical and geographical proofs and by using the historical methodology, the significant role of Parsa where two of the Persian Capitals , Pasargadae and Persepolis located and its position in ancient times from the early history to the end of the Achaemenid period in 331 BC has been explored.